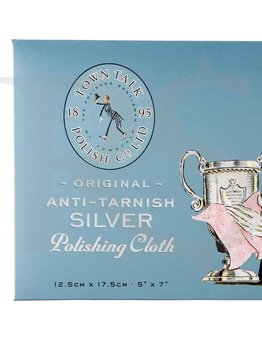 Original Silver Polishing Cloths from Town Talk Polish are made from 100% high-quality cotton impregnated with a unique cleaning and anti-tarnish agent. All that's needed is a gentle rub from time to time and your silver will be kept clean and bright. Town Talk Polish was established in Lancashire, England in 1895, to supply the finest Polishes, Cleaners and Accessories for Silver, Gold and Precious Metal Jewellery. With more than 100 years in business, this is the best premium polishing cloth for your silver. 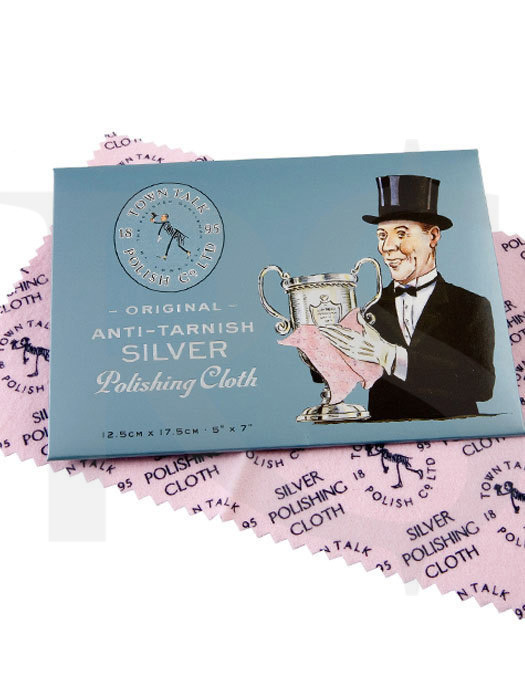 You are buying one small piece of Town Talk Polish Anti-Tarnish Silver Polishing Cloth. Measurement: 12.5cm x 17.5cm / 5" x 7"
Also available in larger measurement. Click here for large measurement.